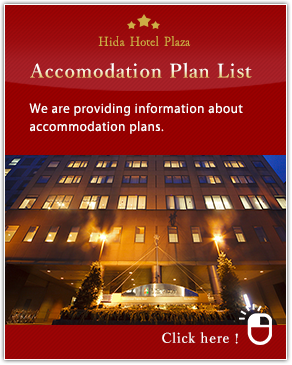 Hida Hotel Plaza has two large natural hot spring baths, one on top of the roof and the other in the basement. 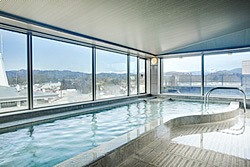 In the rooftop bath area, there is an open-air bath and a sauna. 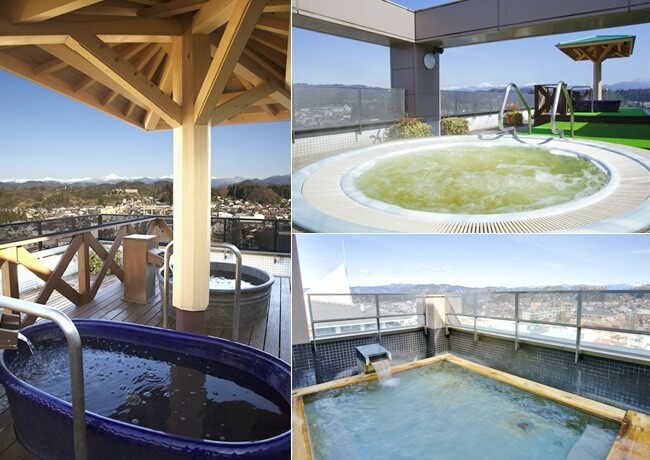 You can enjoy peaceful views of Takayama under clear blue skies and lush green mountains. Takayama is a modern city with rich natural surroundings. An early dip in the open-air bath, feeling the fresh air on your face and soaking in the morning sun, is a great way to begin your day. The basement bath is Japanese-style and wheelchair friendly. 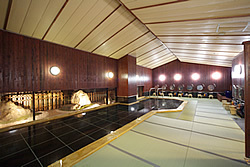 With lacquered walls and a tatami-mat floor, typical Japanese features, the bath has a unique structure even by Japanese standards. Relax in the atmosphere of Old Japan, surrounded by traditional features including beautiful Ukiyo-e (woodblock prints). Stretch your arms and legs, and let all your worldly cares melt away. Relax your body and mind in the open air and luxury of this wondrous “onsen” water, a gift of nature which springs from a source inside the hotel.